As we’re finalizing yet another year, it’s time to reflect on those meals that I just can’t forget. I’ve recapped 2011 and 2012 prior, so here is 2013’s best dining experiences for me. Note: when applicable, I’ve linked to the post where I wrote about the meal. Empire State South | Atlanta, GA: During a business trip in the early part of 2013, I was in Atlanta and I immediately asked my friend from the area, where I had to eat. I drove downtown and sat solo at Empire State South at their bar. I loved how outside at their urban location, there are long wooden picnic tables, a game of bocce ball setup and lounge chairs. 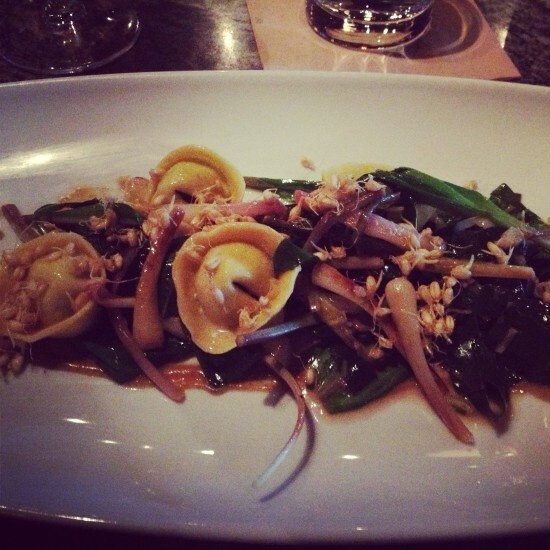 With a speakeasy feel at the bar, I delighted in a fava bean tortellini that came with fermented raisin puree, swiss chard, green garlic, ramps and sprouted wheatberries. The flavors burst. The dessert was creative which I love to see. It was a cocoa and farro brioche bread pudding that came with toffee, puffed farro, coffee toffee and malted milk ice cream. Their accolades are well deserved, as I still think about this wonderful restaurant to this day. You can read my full post here. Brunch at Zolo | Boulder, CO: Zolo Southwestern Grill was Big Red F’s first restaurant which helped launch them into one of the most prominent and respected restaurant groups in Colorado. Opened since 1994, for 19 years, Zolo has been a consistent Central Boulder staple for mouth-watering Southwestern cuisine. It might be funny that they’re on this list but I tried one of their newer brunch menus and really was overjoyed at what we had. First of all, you don’t have to worry about that dreaded brunch wait here. 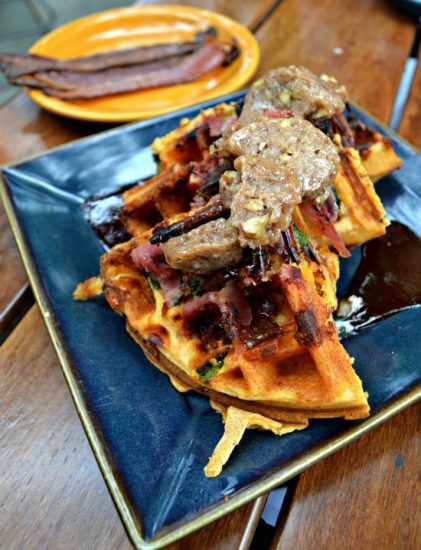 Second, their dishes were unique but steadfast like the canela dusted churros with pomegranate-chile puree and caramel or their country waffles with tender belly ham, poblano chiles, oaxaca cheese, maple-pecan butter and guajillo chile syrup. It really was the surprise zinger on the list but I still think about their great, undercover brunch. You can read my full post here. Columbia Cafe | Astoria, OR: Here for a weekend wedding, a friend from nearby Portland said we had to go here. We snuck away for our own brunch the day after the wedding and boy, were we glad. Astoria is the oldest American settlement west of the Rockies, which dates it back to 1805 as Lewis and Clark led their Expedition here. Sitting on the Oregon coast, this small town of 10,000 is also well-known as movie set locations for The Goonies and Free Willy! 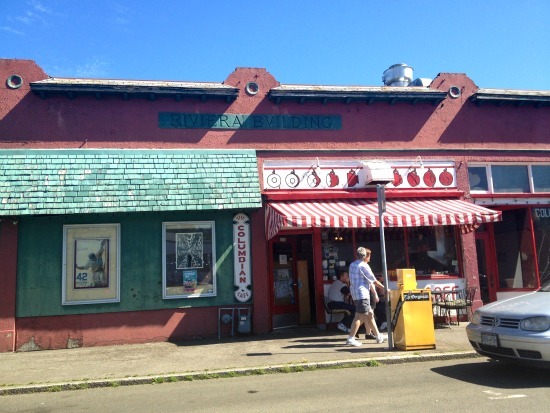 Columbia Cafe is your true small, hole-in-the-wall that has been around for 30 years. They only take cash but their food is fresh and brought in daily. Sizing wise, there are only a few seats and from the outside, it’s unassuming. I loved how they start you with hot griddled, buttered toast that you can slather on their homemade jellies like jalapeno, garlic and cayenne. I suggest you order the “Chef’s Mercy” – the chef creates a unique dish just for you, from scratch that day. It’s a special place and they also serve dinner in addition to the brunch we had. Hops and Heifers Farm Beer Dinner | Hops and Heifers Farm, Longmont, CO: Can you tell there’s around the type of foodie experiences that make my heart soar? Outside, under the sun/stars, with friends, enjoying local bounty and supporting amazing creators around us. Hops and Heifers is a newer farm to the Oskar Blues family, that raises Black Angus cattle, along with other local crops for their restaurant group. This evening entailed five courses, each paired with an Oskar Blues brew. We had live music, a tractor-drawn hay ride and even got to ride the Oskar Blues trolley to and from our location. I love the Colorado white bass with tarragon, spring onions, garlic scapes, spring greens and radishes paired with the Reeb Rye’d Rye Pale. For dessert we had a chocolate cherry crumb tart made with their Old Chub beer. We ate dinner amongst the swinging hops as the sun set and really, it was perfection. Mt. Hamill Tap | Donnelson, IA: On a Summer weekend trip home, I ventured deep into the cornfields of Iowa to ‘the tap’ in the middle of nowhere (Donnelson, Iowa). Famous for their fried chicken, this bar/restaurant has been open since 1940 and they only serve dinner Wednesday, Friday and Saturday. I started with their cream corn nuggets (battered and fried) as an appetizer ($3.25) and then ordered the 1/4 fried chicken that comes out unceremoniously on a white, plastic plate alongside a cheap pitcher of beer. This place oozes character without even trying and their fried chicken is perfectly crisp and juicy. Oh what a place this is. If you’re ever in South East Iowa, stop on through. You can read my full post here. Lyons Farmette Farm Dinner | Lyons, CO: I usually include a farm dinner in this roundup and Lyons Farmette holds a special place in my heart. It’s quaint, simple and beautiful. Being that it’s only about 20 minutes away from Boulder, it makes for a nice jaunt and they have farm dinners and classes (that I’ve also attended) frequently. Especially with our horrific floods this year, I wanted to include Lyons Farmette. You can see a photo album I posted of the dinner here and the food was by one of my favorite cooks/caterers, Katie Baum Bruzdzinski. I’ve written about Lyons Farmette here before, as well. They’re all special evenings and I encourage you to book your next farm dinner there to support them as they rebuild. 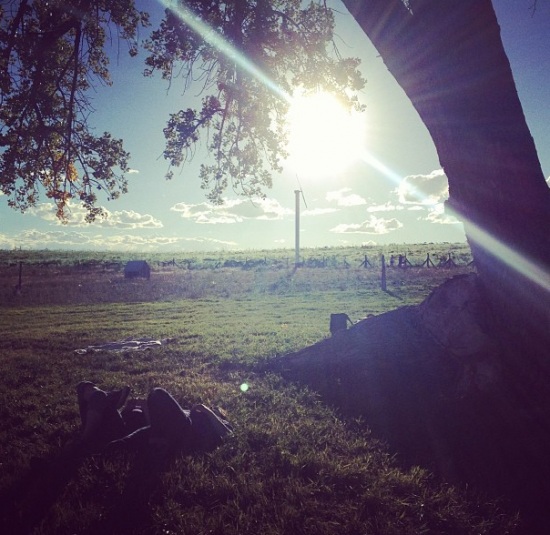 Colorado Makers Harvest Party | Jack Rabbit Hill Farm, Hotchkiss, CO: I love this area of the Western Slope. I’ve spent time at Jack Rabbit Hill Farm/Winery before on a wine trip a few years ago and immediately fell in love with the beauty, the craggy mountainous landscape and the fruitful bounty of vineyards and crops. Colorado Makers, an organization that highlights efforts of local artisans, craft makers, small business owners and entrepreneurs. They put on a beautiful harvest party with many in the industry and an open invitation, to those would would attend. It’s a haul from Boulder for the weekend, but we packed up our tent and headed West. The sunny, late September evening included a farm, winery and distillery tour, live music and provisions by CapRock, Dram Apothecary (cocktails! ), Basta, Western Daughters, Crooked Stave, Pizzeria Basta, Proper Pour, Cured and Ritual Chocolate. 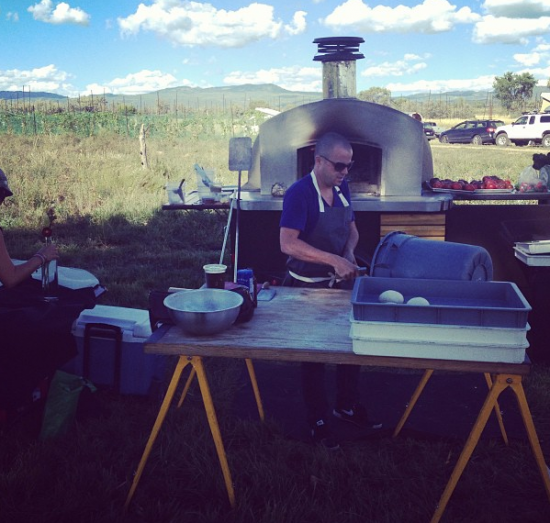 Pizzeria Basta brought their mobile pizza oven and threw down on some amazing pizza’s all night, piping hot and fresh. We had s’mores by the bonfire and plenty of whiskey passed around under the stars. It was a quintessential gathering that brought people together over love, food and supporting what is local and dear to them and it still stands out as a special evening to me. I’m excited to watch Colorado Makers unfold and provide more wonderful events. You can see my photo album here. Session Kitchen | Denver, CO: New to the Denver dining scene late this year, I really enjoyed my time here. We sat at the Session Bar, which if you can, make your reservation at this private U-shape bar that gets you your own private bartender and a high level view of the entire restaurant looking down. 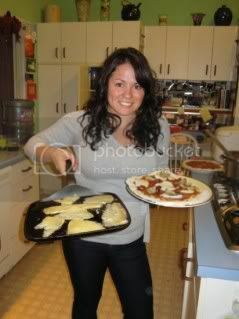 I’m very into sharing and lots of small dishes, so their motto of “tapas is tired. start sessioning.” is right up my alley. 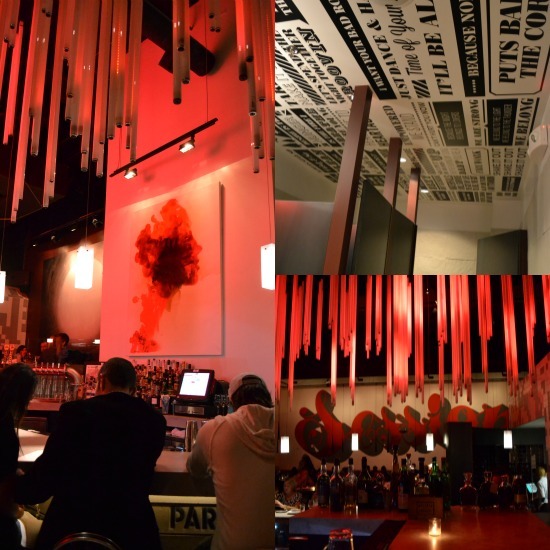 The space is wildly artistic, with commission artwork from around the world, it’s vibrant and feels exotic while the food is also different. Favorite dishes included rosemary garlic, lamb collar with byaldi, strained goat yogurt and plancha bread group session. We also liked the chicken fried maitake, hash browns, greens, red eye gravy and scalloped eggs. It doesn’t hurt that our dear friend Michael Cerretani is the Bar Manager and put together an epic cocktail list. I’m excited to see what they do next as they hit their stride. You can see my full post here. Accomplishments and News: As I did last year, I also listed a few new things around these parts that I’m happy to be part of. I started writing for Boulder Weekly doing food reviews (and I’m still writing a few years in with Eater Denver too). I’m excited about Boulder Food Media group I co-run as we’ve been going for a year and a half, and have over 40 members in the immediate Boulder area. I thank you dear reader, as well. It has been a great year. Here’s to another great year of enjoying food, around a table, with those that we love. Happy 2014!